Espresso Mercenaries, winners of The Global Barista Challenge. 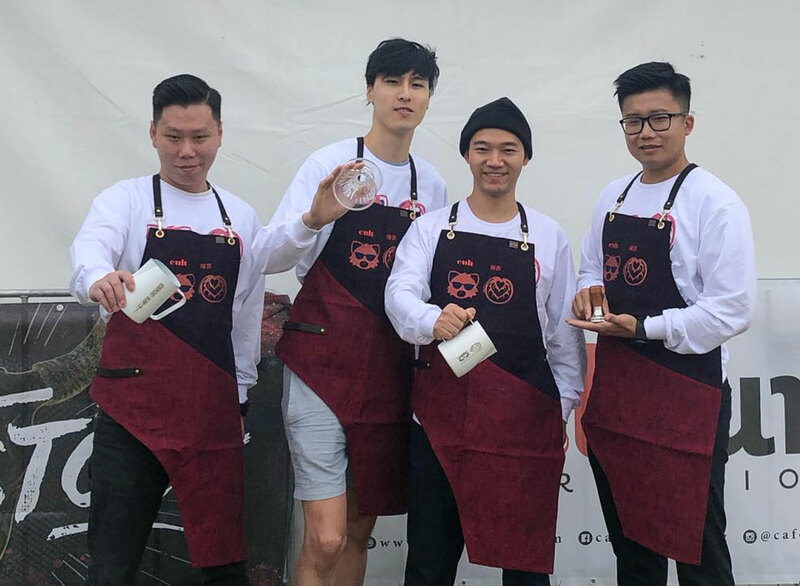 It was engines at full throttle as teams of baristas from all over the world competed for this year’s podium position at the Global Barista Challenge, held March 14–17 at the Melbourne Grand Prix. 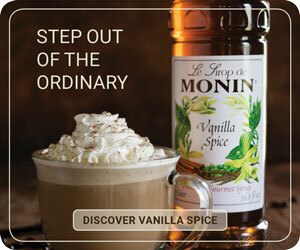 The challenge pitted seven teams from Australia, North America, and China, two at a time, in a race to create 15 drinks in 10 minutes, working off a menu card from which they had to make a selection of different beverages, simulating a real café experience. All the teams competed in several knockout heats, with three judges picking their favorite drink of each set, working their way to the finals. Alternating judging duties each round were Lance Brown from Veneziano Coffee Roasters and Head Judge of the World Latte Art Competition; Andy Freeman from Coffee Snobs; Justin Metcalf, World Barista Judge; Phil Di Bella from Di Bella Coffee and International Coffee Traders; and Jeff Dutton, WBC judge and head of sales and marketing for Alchemy Cordial. This year’s winning team, taking home over $10,000 in prizes, was the Espresso Mercenaries, comprised of some of Australia’s finest: Sam Taylor from Soul Origin, New South Wales Latte Art Champion and Almond Breeze Champion; Craig Simon, three-time Australian Barista Champion and World Barista Championship finalist; Caleb Cha, World Latte Art Champion; and team captain Jeremy Regan, WBC Judge. 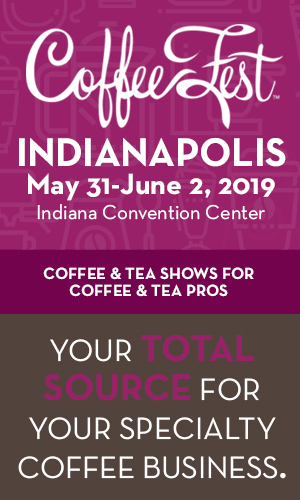 North America was represented by The Tamptations, made up of Zach Perkins from Roseline Coffee; Ale Acereto from Stumptown Coffee; Amy Duell of Oceana Coffee; Greg Davis from Next Wave Imports; and Stacey Lynden who was supported by Strong Women of Coffee. The Tamptations placed fourth overall, but competed again on Sunday, partnering up with China’s Red Pandas to make a World Team, eventually taking out the Espresso Mercenaries. Event sponsors provided special equipment for the competition: Sanremo Australia supplied two custom-built Café Racers; Espresso Company Australia supplied Anfim espresso grinders; and Barista Technology provided Puqpress for automated tamping. Milk sponsors Riverina Fresh and Almond Breeze Barista Blend allowed for the competitors to feature both milks in many of the drinks served. 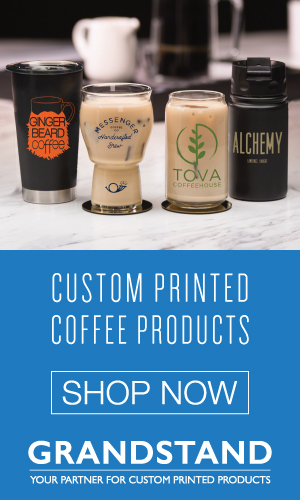 Alchemy Cordial provided a full flavor range of its superfood latte mixes and coffee syrups, while Luxe Brew supplied powdered chocolate for the mocha and cappuccino drinks. Coffee was provided by the official Grand Prix coffee sponsor, Genovese Coffee. This event was organized by Cafe Culture International to be a feature in the F1 Central Fan Zone area. 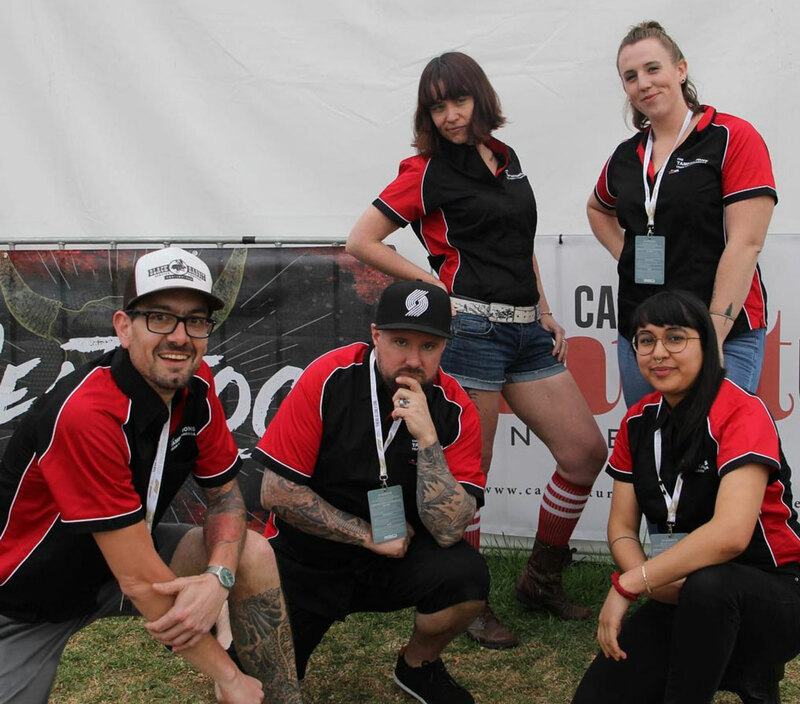 Susan Strophair, Australian Grand Prix Corporation’s manager of entertainment and fan engagement, reached out to Sean Edwards, managing director of Cafe Culture International, to assist in putting together a fun event that would generate alternate entertainment. 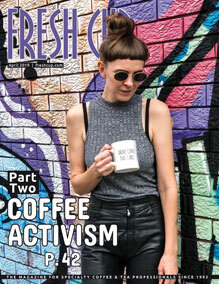 With coffee an important part of Melbourne culture, the competition format was a perfect fit. The Global Barista Challenge was spread over the three days of the Grand Prix, in a purpose-built stage in F1 Central, and attracted thousands of spectators to the area. Sharing the stage was a BBQ competition, hosted by Jay Beaumont, organizer of Meat Stock. The Cafe Culture team also helped organize the Barber Shop event, run by Jimmy Rod’s Barbershop and Barber Brands International.